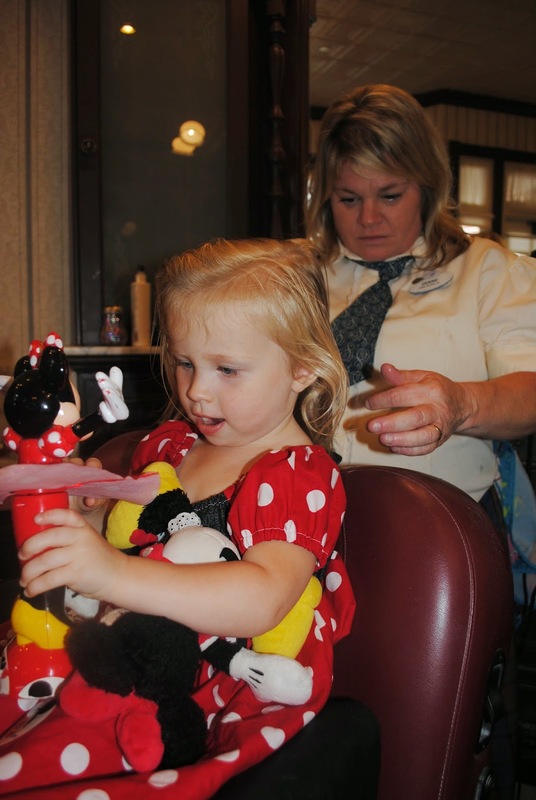 Did you know you can get your baby's first haircut at Disney World inside the Magic Kingdom? 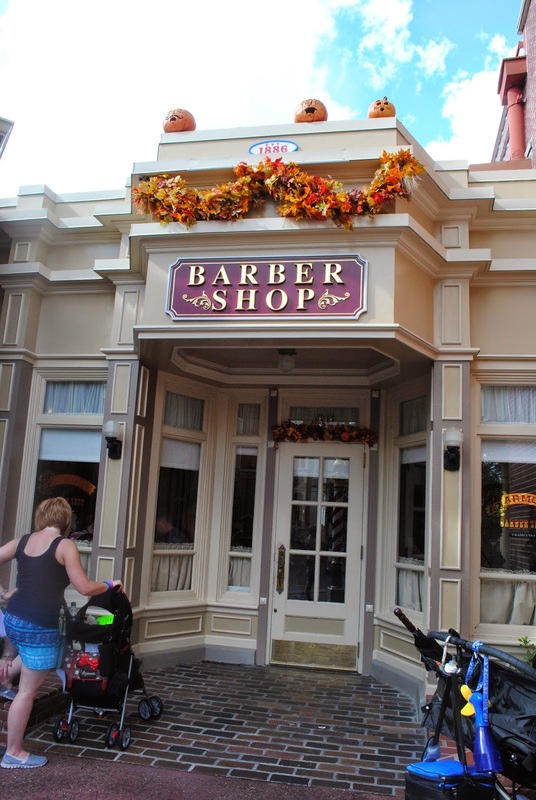 You have probably never even noticed Harmony Barber Shop (located on Main Street). Its tucked away between City Hall and The Emporium. It's one of those places you wouldn't even know existed unless you were looking for it. For just $25, it's one of the things at Disney that is actually a pretty good deal! 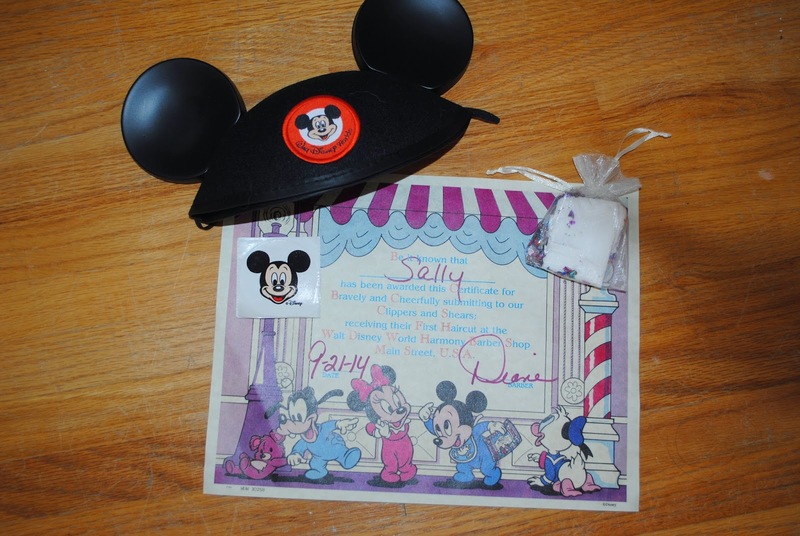 The package comes with the haircut, a set of Mickey ears with "First Haircut" on the back, a certificate and a little bag with a lock of you little ones hair. Sally was 2 years old when we got this done. She was so excited!! Just to note...they do take walk ups but are often totally booked up so I highly recommend a reservation. If I book your trip, I would be happy to get you a spot reserved. We arrived at our reserved time and Sally was in a chair in no time at all. They gave her a bunch of stickers and a spinning and light up Minnie toy to play with. Just a quick snip snip and she was all done. Sally did awesome and was so excited to put on her Mickey ears. Call and get a reservation if you can (call 407-939-7529 up to 180 days ahead). If no reservations are available, don’t let that scare you off. It is definitely worth trying to walk-in even if they tell you otherwise on the phone. 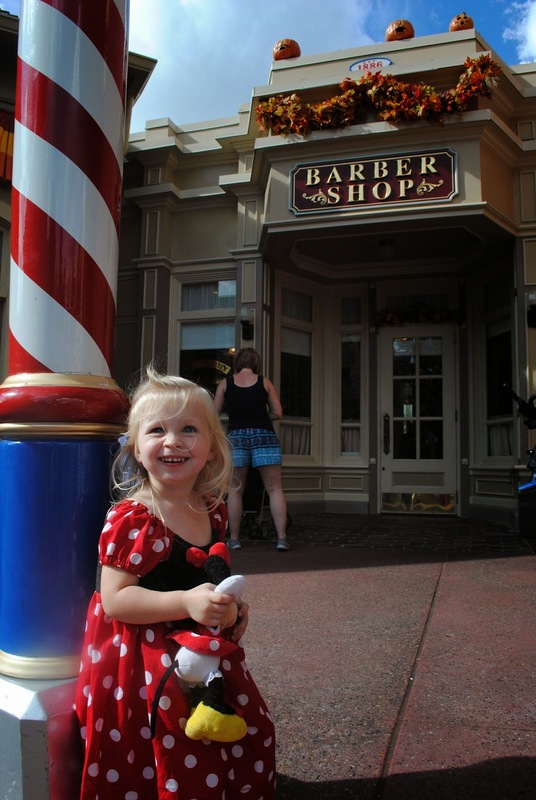 Don’t worry about your child being too little for a haircut. As long as they have hair to cut, go for it. They are wonderful with even the littlest of children. 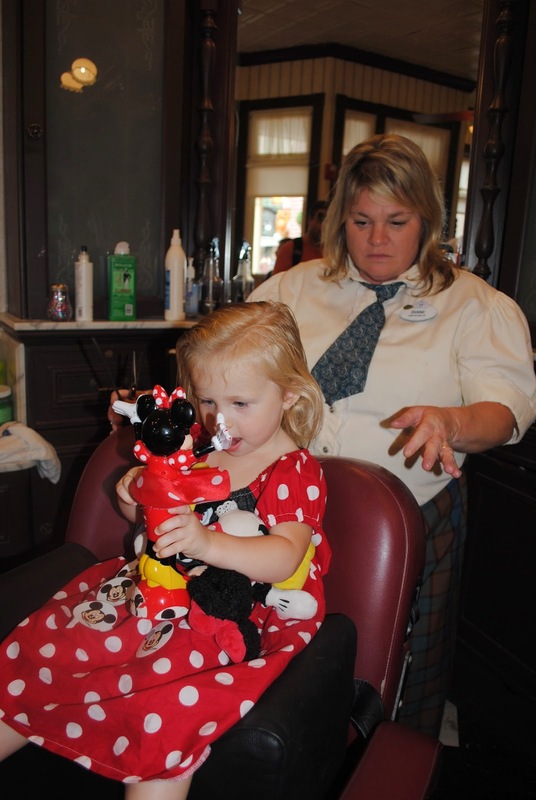 If you do the first haircut package, it will come with Mickey ears, so you can save the cost of buying other ones in the park. They will dampen hair with water if needed, but they do not shampoo prior to clipping, so make sure to show up with clean hair. The appointment itself is quick - probably 15-30 minutes in total. It is not going to take a huge portion of your day. Don’t forget the camera and to take before and after pictures.